You can play online or download the game here. This weird game concept is a result of the gamejam's themes, which included "Bridge" and "80's music" among others. I am glad to see this game complete and polished in such a short deadline, and hope for more games like this to follow. I would like to thank the other #tagjam15 participants who shared this experience and provided motivation to me, as well as Haddy for hosting the gamejam. Flashy Dansy was the winner of the #tagjam15 competition! I am thrilled by the idea that this little game stood up so well in a gamejam, against 6 competing games (plus 3 non-compo). Hopefully this will be a motivation for more gamejams and more successes in the future. 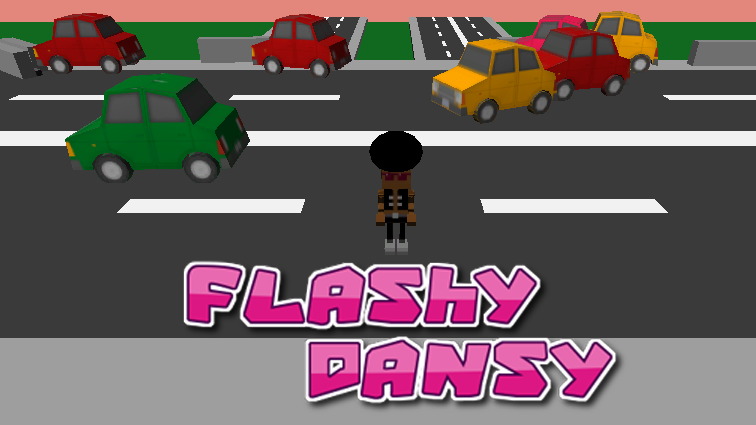 You can now play Flashy Dansy on Android (for free)!